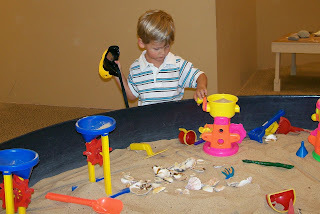 The Woodlands Children's Museum has an entire room dedicated to sand with a huge sand box, various sand toys, and tons of buried sea shells. 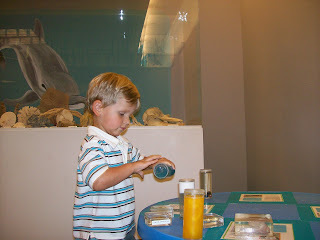 It's become one of Dawson's favorite places to visit at the museum. 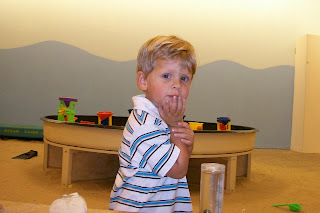 Here are a few pictures of him playing in "the sand room."